So let's jump right in and get to my 10 (yes, 10!) 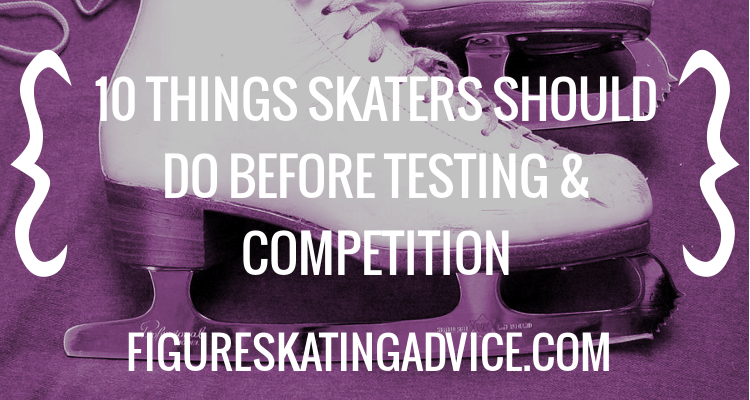 top tips for skaters as they approach a test or competitive event. Sounds counter-intuitive, right? Our bodies can really benefit from a little rest on the approach to that big event. You've put all the hours in, you've trained hard (I mean, I'm assuming you have...) and now it's time to get some rest. Now, I'm not talking about taking two weeks off. I'm talking about maintaining your daily training routine, but going in, executing the necessary elements and program run-throughs, and then getting out of that ice rink. At this point, it's about confidence, and maintenance rather than scrambling to work on new harder elements (with the potential of course, to injure yourself in the process). Talk to your coach about how you can work smarter, not harder, on the run-up to your event. Yeah, if only if were that easy, right? Well it's easy enough to write here, but not so easy to implement. But the fact of the matter is that if you're constantly obsessing over your programme/outfit/skates/music/travel/coach/whatever else, you're not giving yourself a fighting chance at doing your very best. Make sure that you cover all your bases, that you work hard, and that you're organised. Then, relax your mind. This is going to be achieved in different ways to every single person on this planet - you know yourself best. If you love taking long baths in the evening before bed, or slipping on your headphones, or reading that engrossing book, then make sure you schedule some time away from your skating life to just be you. This will help put things in perspective (there will always be another test session, another competition. Every failure is a potential for growth and future success, and once you've truly internalised that fact, nothing can break you to the point of no return). OK, now it's time to get practical. There are certain things you just have to take care of. I suggest starting with checking over your costumes, tights, skates, and blades 2-3 weeks prior to the event. This affords you enough time to get your blades ground (or sharpened), buy new laces, repair outfits, or purchase new tights if any of those things need to be done. Online shops often offer the best prices on items you might need to spend some cash on, so taking time ahead of schedule to check over your things means you'll have enough time to have things delivered by mail if need be. Remember to buy a cable to link your smart-phone to the sound system at the ice rink (this will come in handy if your CD fails!). On the day before the event (or the day before you travel to the event, if the case may be), make sure you pack your luggage. Include off-duty clothes, your skating outfit, at least 2 pairs of performance tights, any practice clothing you may need, a vanity bag for hair and another for make-up, and any personal effects you might need during your time at the event (glasses, laptop, phone charger, good luck charms, camera, etc.). The night before, remember to pack your skate bag with water and candy. Music is so important. You simply can't perform without it! A week before, make sure you burn new CDs with your programs, as you never know how dinged up they got at your last event, and you don't want a nasty surprise when you're standing in the middle of the ice. If you have extra discs lying around, burn copies to give to your coach too. OK well I know this sounds blindingly obvious, but the night before can be a stressful time. You need to make sure you're not up until all hours preparing your luggage and skate bag, and you need to make sure you get enough rest. Note rest, not sleep. Some skaters will just be too nervous and/or pumped up to get their usual night's sleep, and that's OK. Your body is providing you with enough adrenaline, and it will see you through your event (although you may feel very tired after you've performed as the adrenaline releases subside and you're left with one tired body and mind). If you can't sleep very well, make sure you make your environment as conducive as possible to rest - dim the lights, put on some soft ambiance or classical piano music, get into your favourite pyjamas and warm socks, and close your eyes. Make a list of the ten things you liked most about your day or week, and you'll find that the happy thoughts will make you feel glad and relaxed. This might be overkill for some of you reading this, but it can work for those who feel like they're losing control of the situation due to stress, and want to plan ahead. Pull up a word processing or spreadsheet making software on your computer (you can use G Docs for free if you have a Gmail account, or get OpenSource office suite LibreOffice if you don't have Windows Office). Now look at your skate-time, and work backwards from that. If you skate at 12noon and are first onto the ice, that means your warm-up probably starts six minutes earlier, at 11.54am. That means you'll want to be in your skates at 11.35am (to warm them up). That means you'll want to start off-ice warm up at 11am. So get dressed at 10.45am. You get the idea. 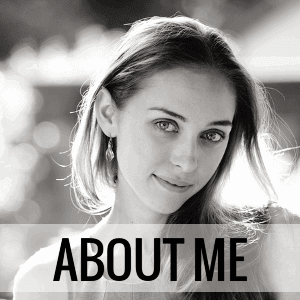 Print copies of this out for yourself, your parent, anyone accompanying you (e.g. other family members), and your coach. This way everyone will know where you're at. Mark a * next to activities during which you don't want to be disturbed by anyone but your coach (e.g. your off-ice warm up). Coming back to that off-ice warm up. Do you really want to be stretching and going through your program on the rubber whilst listening to all the chatter, music, and judges announcements, which all add to stress? Make sure you've charged your phone or mp3 player fully the night before or the morning-of, and load it with your favourite music as well as your program music. This will help you block out ambient noise and also provides you with a copy of your music to do an off-ice run through (just "mark" the different movements: obviously you can't do things like twizzles off-ice, so just do a few turns on the right leg whilst doing the correct motions with your arms). I've turned up at competitions before to realise I needed some confirmation email, a piece of paper that was sent in the mail, or whatever else, for registration purposes. Don't get caught out like me: buy a plastic document wallet at your local stationery store, and keep all your event related documentation inside it. Always keep it in your skate bag on the run-up to, and during, events, and this way you'll never be caught out. Having hard copies of schedules helps you to plan your day more approximately too, if you haven't already made a timetable (see point 6). Another obvious sounding one, but yes, I've seen skaters vomiting on the morning of the competition, or running to the bathrooms due to having an upset digestive system! Minimise your risks and stay away from anything that you know irritates you in the run up to the competition. Keep sodas to a minimum as they can cause a build up of gas in your stomach and create bloating and discomfort. Now if you ask me, this most certainly isn't an obvious thing to do. There are a million things to organise, you might have friends and family to coordinate with, and you've got the pressure of the actual event. Now doesn't seem like the time to be selfish and relax. This isn't about blowing off your responsibilities and expecting everyone to pick up after you, this is about finding some inner calm and taking time for yourself to feel rested and prepared, both mentally and physically. Remember to say "no" to things that you feel are too much for you in the week leading up to your event (this could be going out with friends, extra work, or any number of other things). Communicating that you're prepping yourself for an important sporting event will earn you the respect of those around you who care about you, and it will do you the world of good. Well those were my top ten tips for skaters about to test or compete! Did I miss anything out? Until next time, skate your heart out! Awesome tips! I find them useful for almost any other sport. Thanks! Awesome tips! I find them useful for almost any sport. Thanks! super helpful as my test day s coming up soon! ur great! thx this is really helpful! Great list - nice to check - I use all these lists + preparations, and checking them is reassuring to know I am ready! The only part I don't see in logistics is the route and travel plan. I have tested at places which require subway, bus, taxi and walking to get to the rink, and even if you are just getting in the car, it is useful to have the map printed, local taxi phone numbers, cash for contingencies.